Making a throw wasn’t even on my radar until one day when I was at Micheals I discovered Loops & Threads Tweed Big. The soft colour, great price and sturdy feel of the yarn had me hooked! The Tweed Big is rated as a worsted weight but it is heavier than most. I tried a few hook sizes and settled on an 11.5 mm. This gave the throw the drape and softness I was looking for as well as reducing the overall weight of it. If you are thinking of substituting any yarn consider visiting www.yarnsub.com to find a recommended alternate. 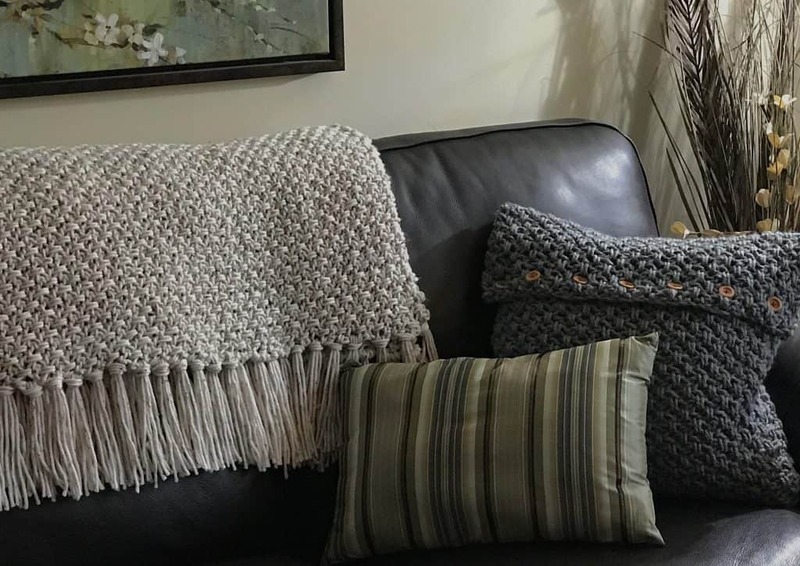 The cushion cover is made from super bulky yarn and is shown here in Bernat Chunky True Grey it would also look stunning in any super bulky yarn. 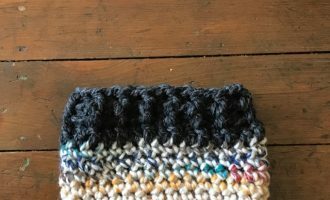 To make sure that crocheters of all levels can enjoy this pattern I have included helpful photos as well as video assistance. I’m looking for the pattern for the Easter bunny sock hat. I’m willing to pay to have this pattern. Is it possible?